Kalamazoo is an eclectic college town and home to Western Michigan University. The town features a hip and progressive downtown with many options for high-quality dining, interesting shops, art galleries, and entertainment. The town isn’t far from outdoor recreation, lakes, and beautiful scenery, while the Kalamazoo Nature Center, Markin Glen County Park, and the Kalamazoo River Valley Trail are a few of the options for enjoying the outdoors near the town. Kalamazoo Valley Museum is an interactive and family-friendly museum that is focused on history, technology, and science. This free museum is run by the Kalamazoo Valley Community College and features more than 50,000 artifacts, including The Mystery of the Mummy exhibit, complete with a 2,300-year-old ancient Egyptian mummy and other artifacts from ancient Egypt. Additionally, there are exhibits related to local history and industry as well as several branches of science. In addition to exhibits, the museum features a 109-seat planetarium that shows a wide range of presentations with state of the art audio and video equipment to give visitors a fully immersive experience of the stars and planets. The Kalamazoo Institute of Arts is a non-profit art museum and school in Kalamazoo’s downtown that hosts around a dozen temporary exhibit installations each year. They are quite involved with local schools and the community and each year the exhibits include recurring shows from high schools, young artists, and other locals. Other exhibits are made up of pieces borrowed from other museums, galleries, and private collections. In addition to the temporary exhibits, the museum has more than 4,600 pieces in its permanent collection. The primary emphasis of the collection is on art from the United States and the collection showcases such artists as Ansel Adams, Mary Cassatt, Norman Rockwell, Andy Warhol, and many others. Kalamazoo Nature Center is a nature preserve that includes 1,100 acres of rolling hills and woods to the north of Kalamazoo. The primary attraction of the nature center are the miles and miles of hiking and walking trails as well as the 13 different trails offering 10 miles of hiking and walking paths through the center’s ponds, prairies, forests, and other wildlife habitats. You can find one that is perfect for any ability level. For instance, the trail named Habitat Haven is a 0.6-mile handicap-accessible trail that is rated easy and features a variety of habitat overlooks. On the other end of the spectrum are the difficult-rated Fern Valley Trail and the 2.7-mile Bluebird Trail, which is the park’s longest trail and is rated as moderate. The Kalamazoo Farmers’ Market is a market selling locally grown produce and handicrafts. The market mainly operates in the summer months, starting from the first Saturday in May until November. It features more than 100 businesses weekly and hosts a night market with farmers, local artisans, and food trucks. In addition to the summer markets, they offer several winter markets in various locations around town. Shopping at the Kalamazoo Farmers’ Market is a great way to experience the local culture and support local farmers, artisans, and other creatives. Each of the markets offer unique opportunities for shoppers to get to know the person who created or grew the products they are selling. The Henderson Castle is one of Kalamazoo’s most popular and most impressive inns. The hotel is located in the historic West Main Hill neighborhood and occupies an 1895 Queen Ann-style castle. The impressive castle was formerly the residence of Frank Henderson, one of Kalamazoo’s most successful early businessmen. While the historic home has plenty of old-fashioned charm, the home has many modern amenities as well, such as WI-FI, heated marble floors, a sauna, steam room, hot tub, and much more. In addition to offering a fantastic option for overnight stays, the inn has an organic garden, vineyard, day spa, and restaurant that are open to the general public. The Farmers Alley Theatre is home to a non-profit community theater group that performs classic plays as well as new and upcoming acts, cabaret shows, and kids’ programs. The theater offers an intimate, family-friendly, and community-focused environment to enjoy each performance. The seating area is small, which means no matter where you are sitting you will have a close-up view of the show. They offer drinks for purchase and sometimes offer light snacks. Each year the theater hosts a holiday show which includes hot chocolate, coffee, and holiday desserts as a part of the admission. Season tickets are available for guests who wish to see several shows during the annual season. The Markin Glen County Park occupies the former site of a private estate that has been developed into public recreational land. The park features hiking trails, sports fields, and a lake with swim access and a beach. Fishing is allowed on the lake as well. 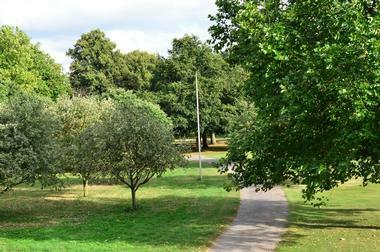 The park has several playgrounds for children as well as a paved, multi-use trail. One of the highest points along the trails offers scenic views of downtown Kalamazoo. For overnight guests, the park has a campground with 38 campsites, each of which has a fire ring and a picnic table. The campsites are modern, with electric, sewer, and water hookups, a dump station, and modern restrooms with showers. Verhages Fruit Farm & Cider Mill is a working farm and family-friendly attraction that offers a variety of experiences for guests. The farm’s attractions are mostly open in the fall and each week they host a variety of tours, each hour during the day. The tours take from 30 to 60 minutes and include a walk through the animal barn, a hayride, picking apples, and a cider making demonstration. The cider mill, donut shop, and country store offer a large variety of treats to enjoy at the farm as well as merchandise to take home. 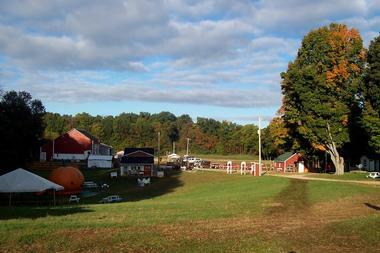 The farm and cider mill are very handicap accessible, including the hayrides. Confections with Convictions is a gourmet chocolate and candy shop specializing in hand-crafted truffles that are made with organic, fair trade chocolate from recipes created by chocolatier Dale Anderson. In addition to the shop’s own hand-crafted chocolates, they sell a selection of gourmet, organic, and fair-trade chocolates from various places all over the world. The store was opened to give troubled youth a chance to work towards something productive. The name of the store comes from the fact that the business employs and supports young people in the court system towards a more productive future and only uses the most wholesome ingredients in their sustainable production process. The Boatyard Brewing Company is a traditional-style brewery with a small food menu. The brewery offers indoor and alfresco seating and frequently hosts live Celtic music and other events such as dance parties and open mic nights. The food menu is small and mostly consists of snacks and they also offer free, self-serve popcorn. One of the most popular items on the menu is a donut and beer pairing. The staff has hand-selected donuts and beers that complement each other very well. Visitors can tour the brewery to get an inside look at the production process and taste a few of the beers. The Lawton Ridge Winery has been growing grapes since 1974 and opened their production facility in 2008. The wine produced at Lawton Ridge is made from grapes that are grown in their own vineyard or other local vineyards. The award-winning winery creates a selection of wines that are designed to pair well with food, with everything from classy, dry red wines to sweet dessert wines. The winery’s Kalamazoo Tasting Room offers visitors a chance to taste up to six wines for a small fee. With advance reservation, they can accommodate groups of up to 30 people for private events. The Kalamazoo River Valley Trail is a 22-mile non-motorized, multi-use trail and there are plans to extend the trail to a final length of 35 miles. 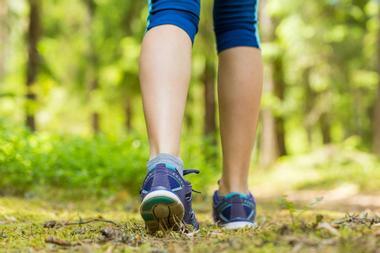 The trail is 10 feet wide and offers access for bikers, walkers, joggers, and other non-motorized uses. The trail is designed as part of a larger network that connects more than 140 miles of trail, offering nearly endless opportunities for fun, exercise, and more. The trail passes through downtown Kalamazoo, which gives visitors plenty of chances to visit downtown shops, cafes, and restaurants. The route is a popular place for families to take a walk together or for fitness-minded visitors to get in a good cardio workout. West Michigan has a diverse selection of high-quality breweries and West Michigan Beer Tours offers beer lovers a chance to experience breweries in a special way. They offer both public and private tours that visit several large and small breweries and tour-goers have the opportunity to meet the owners, managers, and employees of the breweries. Some breweries even offer the opportunity for guests to take part in the brewing process. The tours can be by bus, by bike, or on foot, depending on the specific tour that is chosen. Private tour options can be customized for a group’s specific needs and wants, with groups choosing the stops, length, and experiences that they would like to include in their tour. The New Vic Theatre is a landmark institution in Kalamazoo. It was founded in 1966 by local residents and has a unique place in the local theater scene. The theater is especially well known for their annual Christmas performances and concerts. 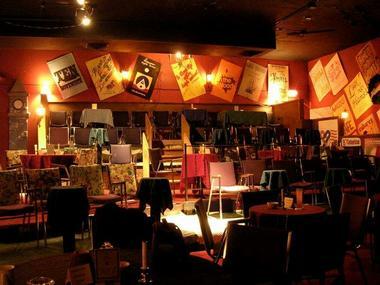 The venue features cozy, cabaret-style seating in an intimate space, while the concession serves several hot and cold beverages, although no alcohol. They have performed more than 325 productions in their history, many of which had their debut in Kalamazoo. The theater is only open weekends, except for special events, and only sells 100 tickets for each performance. Therefore, guests are advised to book tickets in advance of their visit. Al Sabo Preserve is a 741-acre nature preserve that boasts several hiking trails as well as two boardwalks. Trails feature such names as Moab, Atwater, Lookout, and Mandala Two. Mountain biking is a popular activity in the park and the nature preserve has 7 miles of cycling trails. Both the hiking and mountain biking trails offer scenic overlooks and panoramic views of the nature preserve and the west branch of Portage Creek which flows through the Al Sabo Preserve and meets up with the Kalamazoo River. Wildlife abounds and includes species such as muskrats, deer, coyotes, turtles, and fish. 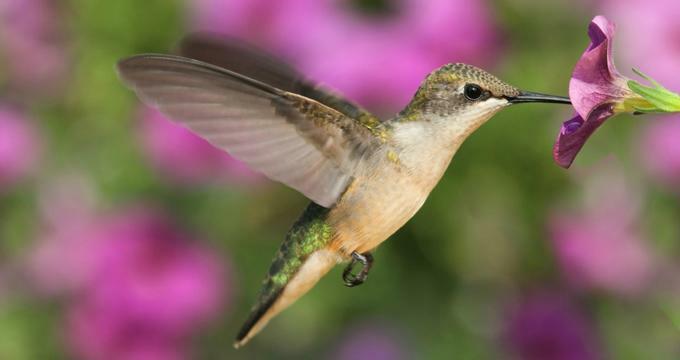 Bird enthusiasts will also delight in the more than 150 species of birds that call the nature preserve home. 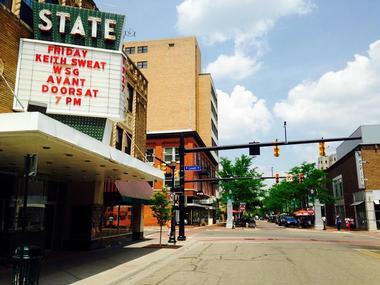 Kalamazoo State Theater is a grand theater and performance venue that has been a Kalamazoo landmark since it opened in 1927. Although the historic theater, part of the League of Historic American Theatres, has been renovated, it still retains much of its original charm. The venue hosts top touring bands, events, and other performances. The state theatre offers full-service concessions during and before each of their shows and offerings include draft and bottled beer as well as liquor, water, and soft drinks. 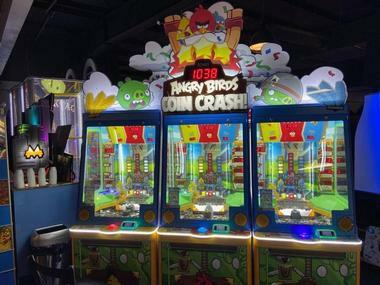 They also have popcorn and premium candy and there are a number of restaurants located nearby for guests who are looking for a more substantial meal. The James W. Miller Auditorium is a performance venue that is located on the campus of Western Michigan University. The auditorium is the fifth largest in the state of Michigan and can seat almost 3,500 guests. There are three seating sections, the Orchestra Level, the Balcony Level, and the Grand Tier. The auditorium hosts a variety of performance types including movie showings, comedians, and speakers and the Kalamazoo Symphony Orchestra plays several shows a year in the auditorium as well. The venue generally hosts Broadway shows each year and several well-known acts have performed here, such as Bob Dylan, Bruce Springsteen, and Dave Chappelle. 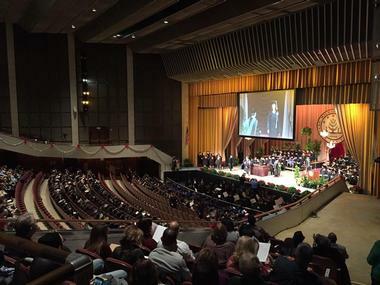 The auditorium is also the venue for Western Michigan University’s graduation ceremony. The Kalamazoo Growlers is a baseball team based in Kalamazoo. The team competes in the Northwoods League and plays their home games at the Homer Stryker Field. Their mascot is a black bear named Porter who wears a Growlers jersey with the number 64 on it. 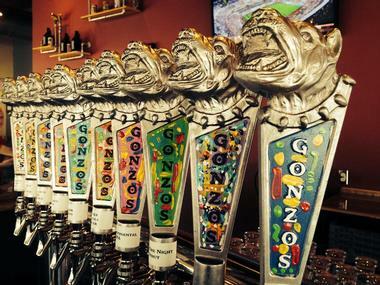 The team’s name brings to mind the plethora of microbreweries in and around Kalamazoo. The Homer Stryker Field boasts a seating area known as the Miller Lite Party Zone, which has picnic seating, buffet food, and free-flow soda and water. They also have an indoor/outdoor suite known as the Bell’s Bear Cave as well as the Home Plate Club, which has individual tables served by wait staff for premium game-viewing experiences. Concessions at the ball park include classic ballpark food and specialty barbecue. Sky Zone Trampoline Park is a chain of indoor trampoline parks with a location in Kalamazoo. The park features freestyle bouncing hours, dodgeball, and fitness programs and the inside of Sky Zone is filled with huge, wall-to-to wall trampolines. The trampoline park also has a Foam Zone, where guests can launch themselves from trampolines into a large, foam-filled pit. Skyslam basketball hoops afford guests the opportunity to challenge their friends to a friendly game of basketball with a twist – the court is made up of trampolines. Special jump events for children, toddlers, and those with special needs give everyone a chance to take part in the fun. The Harry W. Ice Arena is a 3,667-seat multi-purpose arena with an attached natatorium. The arena is located on the campus of Western Michigan University and is home to the Western Michigan Broncos men’s hockey team as well as the university’s synchronized skating team. The attached natatorium houses an Olympic-sized swimming pool and is home to the university’s diving and swimming teams. Besides hosting sporting events, the Lawson Ice Arena also hosts many other events and past events have included professional boxing matches, concerts, and ice shows. 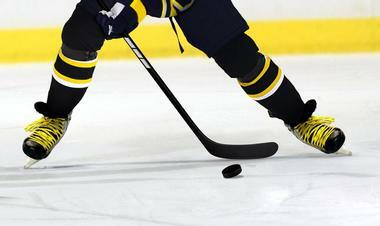 The ice arena and natatorium offer open-skate and open-swim hours for the community. Milham Park Golf Course is a challenging 18-hole golf course. The par 72 course is located on 130 acres located nearby Milham Park. The long-standing course was created in 1933 and was expanded from 9 to 18 holes in 1936. The park is considered one of the best city golf courses in Michigan and is consistently well maintained. 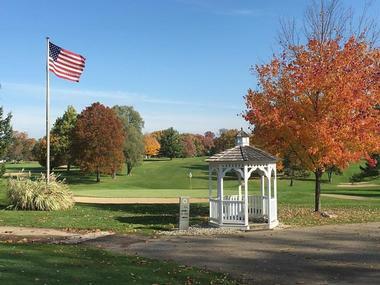 The park has tee times available daily, including weekends and holidays. The course frequently hosts golf tournaments and competitions and facilities at the course include a large, well-stocked pro shop, a snack bar selling a variety of concessions, power golf carts, and practice areas. 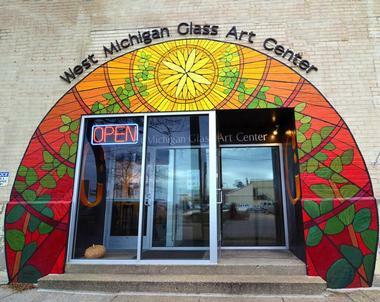 West Michigan Glass Art Center, also known as Glass Art Kalamazoo, is a local non-profit organization dedicated to providing the community with glass art experiences and classes. The center allows guests to have a hands-on experience with glass making and glass art and they offer a variety of glass making classes in the Lampworking Studio, the Kiln Fusing Shop, and the Hot Shop. Classes range from one session to multiple sessions, depending on the subject. Some past classes include Make a Beer Mug, Learning to Blow Glass, bead making, glass lamp making, and many others. In addition, the center actively supports local children who have been diagnosed with cancer by donating glass beads to make their journey a bit more beautiful. The Ballet Arts School of Dance is a dance school that teaches classical ballet through enjoyable, kid-friendly classes. The school is the home of the Ballet Arts Ensemble, which is a non-profit dance performance group composed of 14 to 20 teenage dancers. 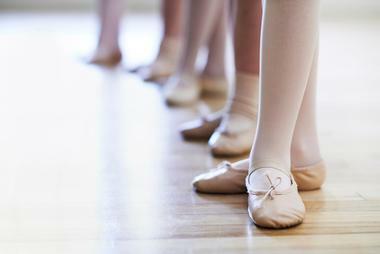 The dancers are required to take two ballet classes a week as well as participate in a 4-hour rehearsal class each week. The ensemble offers performances a few times a year that are open to the public and past performances have included Hansel & Great and the Nutcracker. Performances are hosted at a variety of venues around the city. Ballet Kalamazoo is a dance school that teaches ballet based on the National Training Curriculum of the American Ballet Theater. The studio teaches high-level ballet while maintaining a friendly, welcoming environment for dancers and their families. The school offers classes for students ranging from age 3 up to age 17. The school strives to promote traditional ballet but integrates current dance trends as well and they also focus on teaching the students valuable character skills and teamwork. They are also committed to maintaining a family-friendly environment through age-appropriate performances, costumes, and musical numbers. 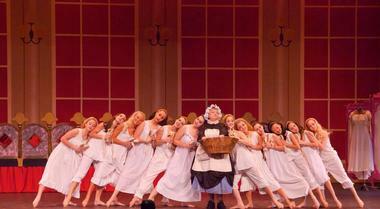 They perform several performances each season at various venues around town.